Hatsune Miku is a unique character from Japan. Part rock star, part anime cultural sensation. This cosplayer is seen in her platinum blue hair that is so recognizable. 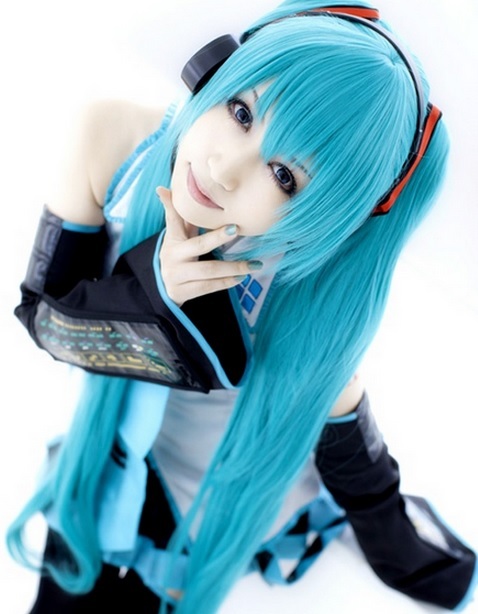 Here is the neon-blue wig & costume to dress up as Miku. Miku is super popular in Japan, she is coming to Playstation in the US soon in a game titled Project Diva X. In the US, she’s even appeared on the David Letterman Show.